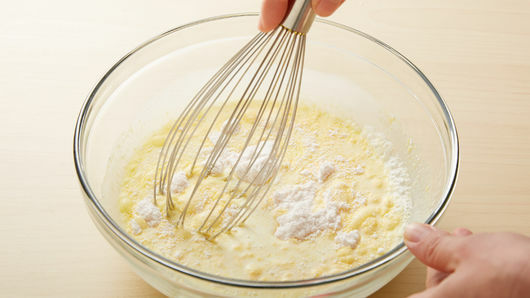 In medium bowl, mix pudding and milk; beat with whisk about 2 minutes or until soft-set. Cover and refrigerate 30 minutes. Heat oven to 400°F. 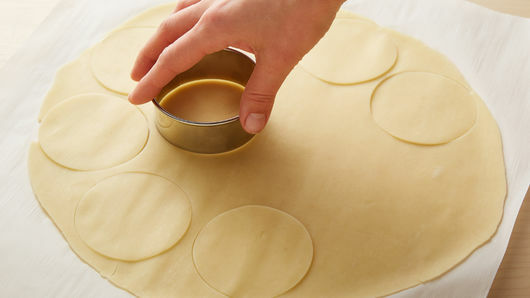 Remove pie crusts from pouches; unroll on work surface. Using rolling pin, roll crusts to 12-inch diameter. Using 3-inch round cutter, cut out 12 rounds from each crust. Invert two 12-cup mini muffin pans. Place crust rounds on backs of the 24 muffin cups, pressing and pinching to form cups. Bake 10 to 12 minutes or until light golden brown. Cool crusts 5 minutes before removing from pans to cooling rack; cool completely. 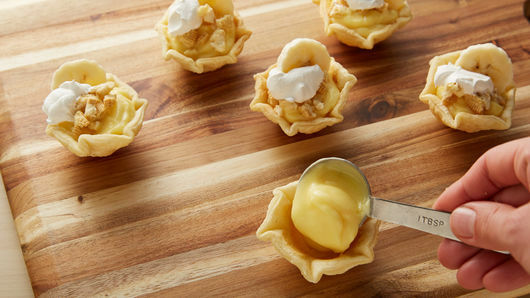 Fill each pie crust with about 1 tablespoon pudding. If serving right away, top with crushed cookies, sliced bananas and whipped topping. Otherwise, refrigerate up to 3 hours until ready to serve; add toppings immediately before serving. Love banana flavor? 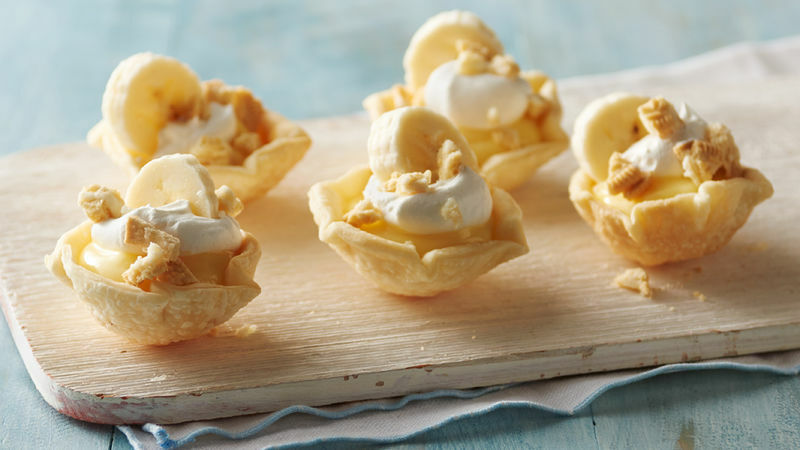 Banana cream pie pudding may be substituted for the vanilla pudding in this recipe. Switch it up by using regular Oreo™ cookies in place of Golden Oreo™ cookies. 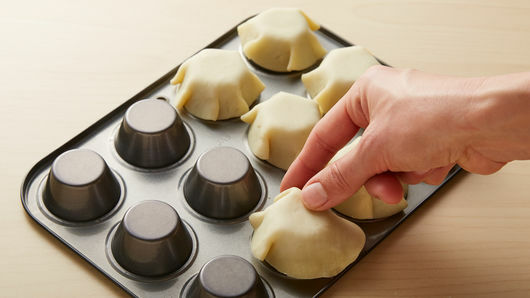 Inverting a muffin pan creates a perfect mold for baking the mini pie shells.